Leonard Pozner is the alleged father of alleged Sandy Hook child-victim Noah Pozner whose image, mysteriously, was among the posters of those who were killed by the Taliban in the Army Public School shooting massacre in Peshawar, Pakistan, on December 16, 2014, two years after Sandy Hook. The name “Leonard Pozner” is between quotation marks because that persona may not be real. In fact, people search engines Spokeo and TruthFinder say there is no such person named “Leonard Pozner” in all of the United States. Professor James Fetzer is among those who maintain that “Leonard Pozner” may in reality be an individual named Reuben Vabner, who is named by TruthFinder as one of the husbands of Veronique Pozner, the alleged ex-wife of Leonard and alleged mother of Noah. To see Vabner’s pic on LinkedIn, click here. 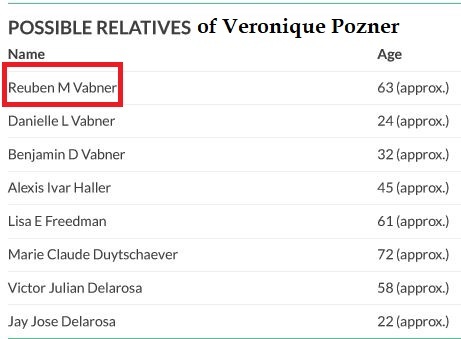 Curiously, although Leonard Pozner is Veronique’s ex-husband and father of her child, he is not among Veronique’s possible relatives according to TruthFinder. 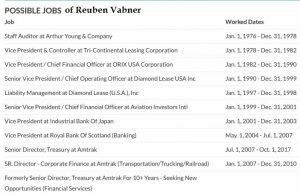 But Reuben Vabner is. 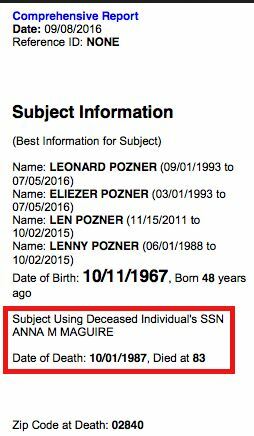 More intriguing still is the search result obtained by Wolfgang Halbig in 2016, which shows Leonard Pozner’s social security number is that of a woman named Anna M. Maguire who had died on October 1, 1987 in zip code 02840, Newport, Rhode Island. TruthFinder has very sparse information on Anna M. Maguire — no family members, no phone information, no social media — other than that she was born on Dec. 20, 1903; had lived at 10 Marin St., Newport, RI; and her social security number was issued in New York sometime between 1934 and 1951. “Leonard Pozner” has harassed bloggers and YouTubers with DMCA copyright take-down demands, and is successful at it. “Leonard Pozner” has also sued Wolfgang Halbig and Alex Jones on Sandy Hook. In his last lawsuit against Halbig, Lenny dropped the lawsuit when it came time for him to be deposed, under oath. Hmm . . . . The latest “Leonard Pozner” effort at stifling free speech is his lawsuit against James Fetzer and his publisher, Moon Rock Books. 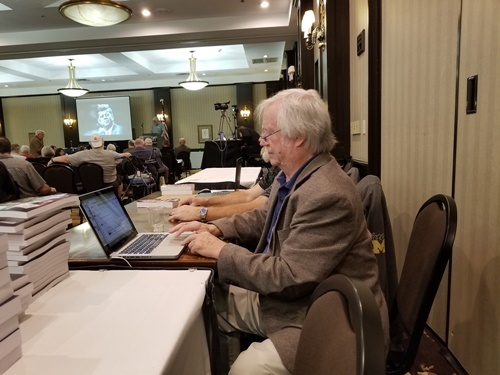 As many of you will know, that’s me in the picture above, continuing my research at a recent JFK conference in Dallas last month. And, as most of you know, I have dedicated my professional life to shedding light onto those events in our nation’s history—and in fact, world history—that have the power to shape what we think and do, including, of course, how future Americans—and citizens of other nations—interpret world events. This is one of the reasons I—and several of my closest colleagues—created Moon Rock Books, which began with Nobody Died At Sandy Hook: It was a FEMA Drill to Promote Gun Control, after Amazon banned it in November 2015. We’re now up to 12 books—with several more released each year—which cover the most pressing issues of our times: 9/11, the Moon landing, the Boston Marathon bombing, Sandy Hook, the JFK assassination, Charlottesville, Parkland, and many more. And the only reason we can continue to produce these important books is because of the support you provide when you purchase them. My research has come under fire recently, where websites and platforms I had used to present my—and others—conclusions, have been attacked: loads of videos from YouTube have been deleted, my James Fetzer Facebook page has been scrubbed, and my entire blog, at jamesfetzer.blogspot.com—with 770 blogs posted since 2011—was taken down. Even those who have had me as a guest on their shows have been attacked! A real 21st century-style book burning. Mike Adams of Natural News went so far as declaring me “The Most Dangerous Mind in America,” because I approach topics like false flags using the scientific method. Fortunately, I have reconstituted my online presence and salvaged most of those blogs at jamesfetzer.org. 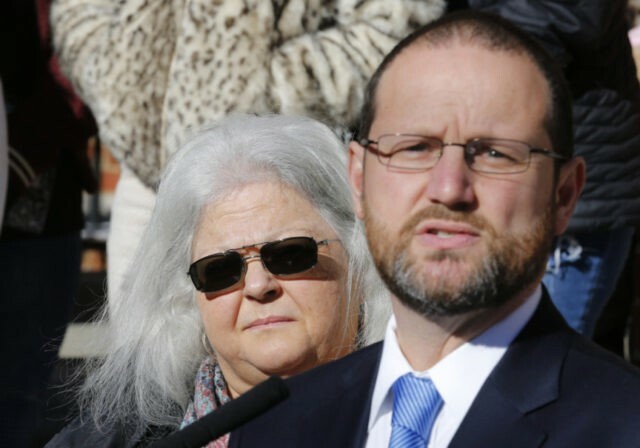 Now, I—and my most trusted colleagues—face perhaps our greatest challenge: a lawsuit from Leonard “Lenny” Pozner, the alleged father of one of the children ostensibly killed at Sandy Hook Elementary School almost six years ago. Lenny, whose real name appears to be Reuben Vabner, is suing me, my series editor, Mike Palecek, and Moon Rock Books for defamation, his ultimate goal being to shut down our ability to publish and to stifle free speech. I am not at liberty to reveal any more information now other than to say that we will be challenging his suit vigorously. We don’t know how yet, and we’re not asking for any donations to a legal defense fund. If you would like to help, what I suggest is that you do what you’ve done in the past: buy our books—for yourself and/or as gifts—to help to fund our defense, by clicking the image below. Have a wonderful Holiday Season! Thanks for your support of Moon Rock Books and the search for truth, without which we lose our way. See also “Wolfgang Halbig has stunning evidence that Sandy Hook Elementary School was closed months before ‘massacre’”. If that post is taken down, it is archived here. It is time the world knew what happened when Leonard Pozner sued Wolfgang Halbig, since the proceedings support the conclusion of many in the Sandy Hook Truth community that Lenny may not even be a real person, at all, but is somebody’s cyberpuppet. In a nutshell, Pozner never appeared for a single hearing in the case, not even for his deposition when–after numerous delays–the court ordered him to submit to it. Pozner dismissed the case right before that deposition was to take place. This entry was posted in conspiracy, Constitution, Evil, False flag, First Amendment, gun control, Judaism/Jews, Liberals/Democrats/Left, Sandy Hook massacre, thought crime, United States and tagged Anna Maguire, James Fetzer, Moon Rock Books, Wolfgang Halbig. Bookmark the permalink. Thank you James, for all you do. Earth. The fact that he is able to inflict so much monetary damage, and then pull out of a suit by not being willing to appear in court is ridiculous. His actions remind me of Sherman’s march thru Georgia, he wishes to decimate everyone in his path. Good luck Professor Fetzer; you’re going to need it in the masonic courts. Heather Heyer’s “mother’s” face shows up in the news again. AP photo via Breitbart. Facebook censored my link to this article. This as much as anything proves Deep State censorship, and the likelihood I’m right that Sandy Hook was a hoaxed PsyOp. New MUST fight it! Dr. Eowyn, were you threatened and thus removed your other Sandy Hook conspiracy posts?